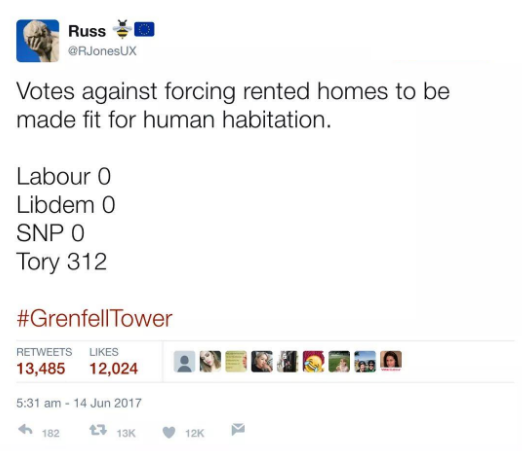 Back in 2016 Conservative MPs voted to reject a proposed amendment to the Government’s Housing and Planning Bill that would require landlords to make their homes “fit for human habitation.” This common-sense amendment was proposed by the Labour party but rejected by 312 votes to 219. 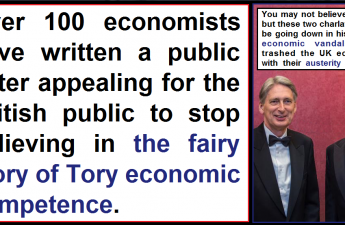 Let’s be absolutely clear here. 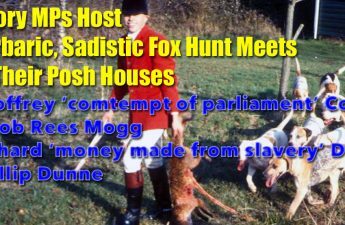 Mr Philip Davies stated that implementing legislation that would require landlords to ensure that the properties they rent are “fit for human habitation” would put a huge burden on them. Does this mean that, right now, there are so many rented properties which are currently not “fit for human habitation” that requiring landlords to make them “fit” would be burdensome? 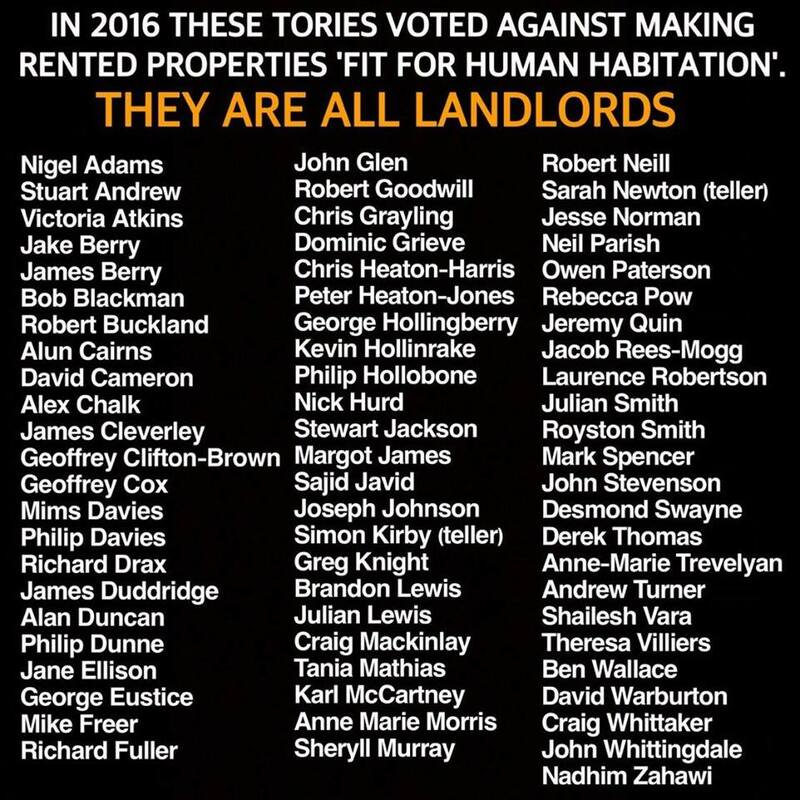 What sort of person would vote to allow landlords to rent out properties which are unfit for human habitation? Most people in the UK are compassionate and would agree that landlords should be providing accommodation that is decent and habitable. 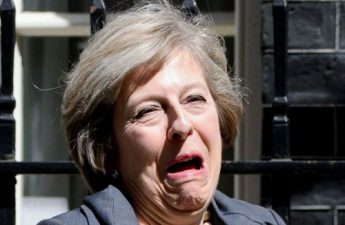 If the Tories had agreed to the amendment to make it compulsory for landlords to make their rented homes “fit for human habitation” then this escalating crisis of low quality housing might have been stopped. Instead, it’s simply getting worse by the day. Many poor people are living in properties which are simply not habitable and the responsibility for this lies squarely with the Tories.